In this tutorial we will learn how to work with Excel files and Python. It will provide an overview of how to use Pandas to load and write spreadsheets to Excel. In the first section, we will go through, with examples, how to read an Excel file, how to read specific columns from a spreadsheet, how to read multiple spreadsheets and combine them to one dataframe, how to read many Excel files, and, finally, how to convert data according to specific datatypes (e.g., using Pandas dtypes). When we have done this, we will continue by learning how to write Excel files; how to name the sheets and how to write to multiple sheets. Before we continue with this read and write Excel files tutorial there is something we need to do; installing Pandas (and Python, of course, if it’s not installed). We can install Pandas using Pip, given that we have Pip installed, that is. See here how to install pip. Another great option is to consider is to install the Anaconda Python distribution. This is really an easy and fast way to get started with computer science. No need to worry about installing the packages you need to do computer science separately. Both of the above methods are explained in this tutorial. Here, Pandas read_excel method read the data from the Excel file into a Pandas dataframe object. We then stored this dataframe into a variable called df. 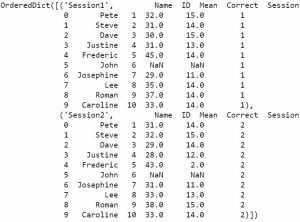 When using read_excel Pandas will, by default, assign a numeric index or row label to the dataframe, and as usual when int comes to Python, the index will start with zero. We may have a reason to leave the default index as it is. For instance, if your data doesn’t have a column with unique values that can serve as a better index. In case there is a column that would serve as a better index, we can override the default behavior . This is done by setting the index_col parameter to a column. It takes a numeric value for setting a single column as index or a list of numeric values for creating a multi-index. 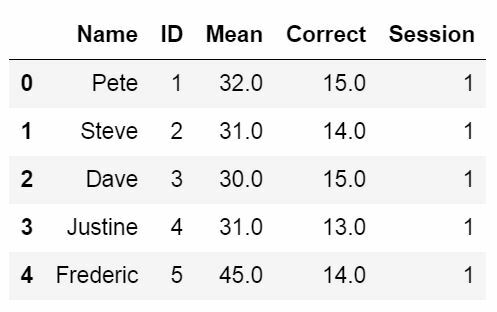 In the example below we use the column ‘Player’ as indices. Note, these are not unique and it may, thus, not make sense to use these values as indices. According to the read_excel documentation we should be able to put in a string. For instance, cols=’Player:Position’ should give us the same results as above. If our data has missing values in some cells and these missing values are coded in some way, like “Missing” we can use the na_values parameter. In in the read excel examples above we used a dataset that can be downloaded from this page. 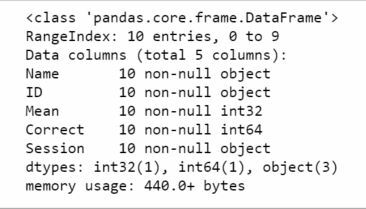 Read the post Data manipulation with Pandas for three methods on data manipulation of dataframes, including missing data. Now we will learn how to skip rows when loading an Excel file using Pandas. 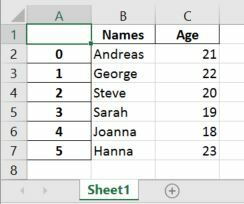 For this read excel example we will use data that can be downloaded here. We can obtain the same results as above using the header parameter. In the example Excel file, we use here, the third row contains the headers and we will use the parameter header=2 to tell Pandas read_excel that our headers are on the third row. In the code above we start by creating a list and continue by looping through the keys in the list of dataframes. Finally, we create a temporary dataframe and take the sheet name and add it in the column ‘Session’. If we want to use read_excel to load all sheets from an Excel file to a dataframe it is, of ourse, possible. We can set the parameter sheet_name to None. 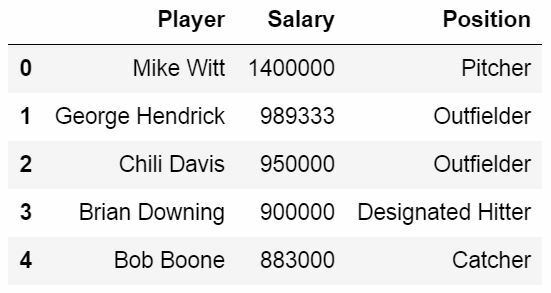 We can also, if we like, set the data type for the columns. Let’s read the example_sheets1.xlsx again. In the Pandas read_excel example below we use the dtype parameter to set the data type of some of the columns. 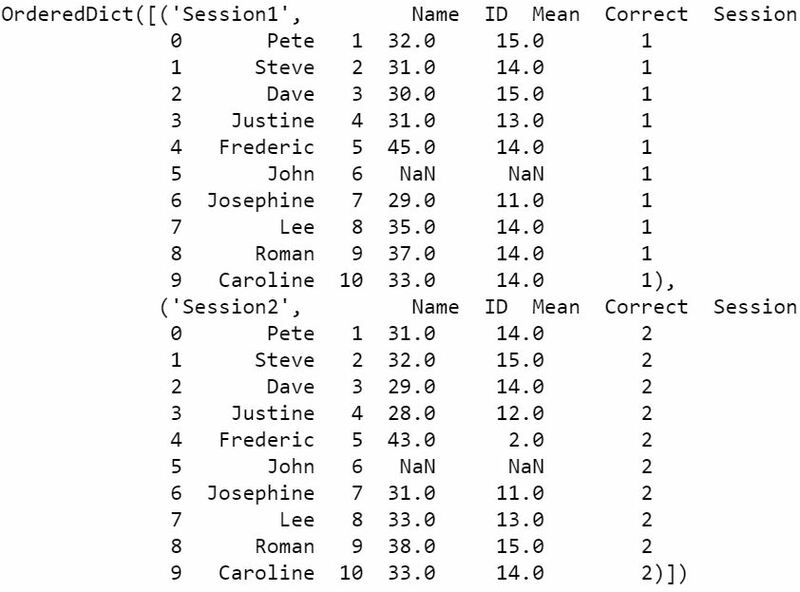 Then we write the dataframe to an Excel file using the *to_excel* method. In the Pandas to_excel example below we don’t use any parameters. In the output below the effect of not using any parameters is evident. If we don’t use the parameter sheet_name we get the default sheet name, ‘Sheet1’. We can also see that we get a new column in our Excel file containing numbers. 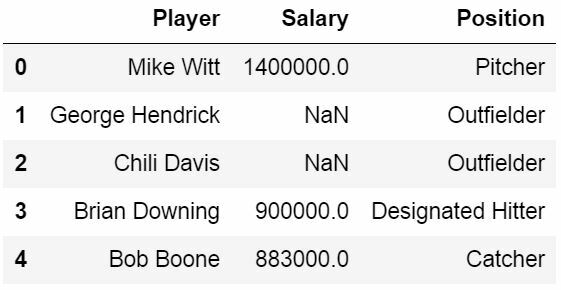 These are the indices from the dataframe. In the code above we create 3 dataframes and then we continue to put them in a dictionary. Note, the keys are the sheet names and the cell names are the dataframes. After this is done we create a writer object using the xlsxwriter engine. We then continue by looping through the keys (i.e., sheet names) and add each sheet. Finally, the file is saved. This is important as leaving this out will not give you the intended results. Good article! Thank you very much!